As is not uncommon in British tall-case clocks, the base was in fairly poor condition when I bought this piece. 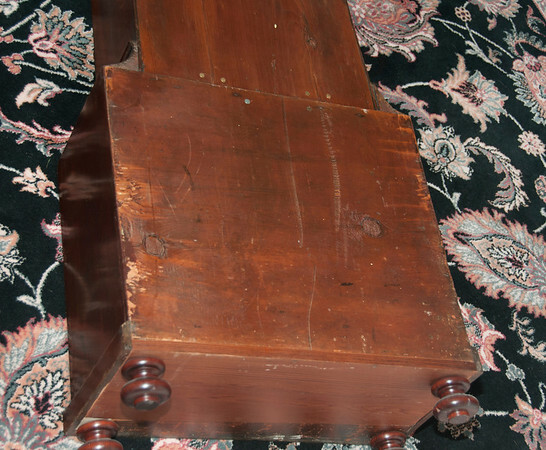 I have laid in a new piece of wood to the back of the very bottom, and turned 4 bun feet to duplicate the form of the part of one original foot that was in the base of the clock when I bought it. The case is very solid and has shown no signs of any additional cracking or shifting in the 10 years since I cleaned up the case.